Dr. Jamie Spillane is Associate Professor of Music and Director of Choral Studies. He directs the University Choir and Chamber Choir and teaches undergraduate and graduate choral conducting and choral literature. Previously, Dr. Spillane was director of Choral and Vocal Activities at Roberts Wesleyan College in Rochester, NY where he directed the RWC Chorale, taught conducting and private voice students as well as conducting RWC Opera Theater’s production of The Marriage of Figaro. Before that, he was at Iowa Wesleyan College where he directed three choirs, taught conducting and had a private voice studio. He also directed the Mount Pleasant Chorale, a college and community ensemble that often performed under his direction with the Southeast Iowa Symphony Orchestra. The Chorale and the Iowa Wesleyan College Choir recently combined to perform the Iowa premier of Stephen Paulus’ “To Be Certain of the Dawn – a Holocaust remembrance oratorio”, other literature included: Vaughan Williams’ Serenade to Music, the Duruflé Requiem, the Mozart Requiem, Bernstein’s Chichester Psalms, and the Bach Magnificat in D major. In the summers, Spillane has taught graduate choral conducting and choral literature at the University of Connecticut and Central Connecticut State University and directed a vocal jazz choir for talented high school students at Indiana State University. Prior to Iowa, Dr. Spillane was at the University of Arizona in Tucson. At the University of Arizona, Spillane was director of the Symphonic Choir, the premier undergraduate choir, the 125 voice University Community Chorus and orchestra, and UAVJE, the university vocal jazz ensemble as well as teaching undergraduate choral conducting. Spillane was also the Chancel Choir Director at St. Mark’s United Methodist Church. For 14 years, Dr. Spillane was chairman of the Ledyard High School Music Department in Ledyard, Connecticut where he directed a program that grew to over 400 singers in 12 choirs. These choirs performed throughout America and Europe and at state and division conventions of the American Choral Directors Association and Music Educators National Conference. During Spillane’s tenure, Ledyard High School was twice voted a Grammy Signature School as one of the top 100 high school music programs in the United States. In 2008, Dr. Spillane was honored by the faculty and students of Iowa Wesleyan College as the Chadwick Teacher of the Year. 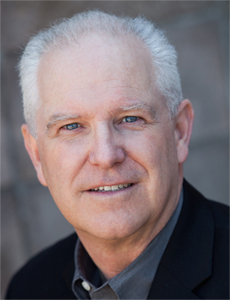 Dr. Spillane holds degrees from Ithaca College, the University of Connecticut, and the University of Arizona and is often listed in many Who’s Who publications. Dr. Spillane’s conducting mentors include: Dr. Bruce Chamberlain, Dr. Peter Bagley, Dr. Paul Phillips, Prof. Lawrence Doebler, and Dr. Robert Page. Dr. Spillane has been very active in ACDA and MENC/NAfME. He is on the NAfME – National Board for Choral Music Education and is a Past President of the Connecticut Chapter of the ACDA as well as the Eastern Division R & S Chair for Vocal Jazz and Show Choir. He was also the chair of the 2011 Iowa Choral Directors Assoc. Summer Symposium and Convention in Mason City, IA. Dr. Spillane, and his wife Linda, are pleased to be back at their alma mater here at Uconn and are the proud parents of two sons, J.B. & Colin.